When you were a child, you swallowed the sun, plunging the three worlds into darkness. The worlds were in terror and no one could remove this distress. The gods came and entreated you and then you released the sun and ended the suffering. Who in this world doesn't know, O Lord, that your name is Sankat Mochan, the destroyer of suffering? From fear of Bali, king of the monkeys, Sugriva lived on a mountain. Sugriva knew that Bali could not come to that mountain because of the Muni’s curse, yet he still lived in fear. Who else but you could find a solution to this? Seeing Sri Ram coming on the road, you took the form of a Brahmin and brought the Lord to Sugriva, relieving that servant’s suffering. Who in this world doesn't know, O Lord, that your name is Sankat Mochan, the destroyer of suffering? You went in search of Sita with on Angada, who said, “We'll forfeit our lives if we leave here without bringing news [of Sita]”. Seeing them [the monkeys] all exhausted by the oceans shore, you then brought news of Sita and saved their lives. Who in this world doesn't know, O Lord, that your name is Sankat Mochan, the destroyer of suffering? Ravana ordered his demonesses to intimidate Sita who said, ”Remove my grief!” Just then you, Lord Hanuman, destroyed the mighty demons. When Sita asked the ashoka tree for a spark [to help and her suffering], you dropped the Lord’s ring down to her and removed her suffering. Who in this world doesn't know, O Lord, that your name is Sankat Mochan, the destroyer of suffering? When an arrow struck Lakshman in the heart, heedless of life you attacked Ravana’s son. You brought the physician Sushena along with his house and uprooted the Drona Peak. Delivering the sajivana herb, you saved Lakshman’s life. Who in this world doesn't know, O Lord, that your name is <Sankat Mochan, the destroyer of suffering? Ravana waged an invisible war and bound Ram and his whole army in nooses of poisonous snakes. Everyone was suffering from this illusion and could not get free. Then you saved them all, O Hanuman, bringing Garuda, the Lord of the birds, who devoured the serpents. Who in this world doesn't know, O Lord, that your name is Sankat Mochan, the destroyer of suffering? Ahiravana took Ram and his brother Lakshman to Patala, the netherworld, to sacrifice them to the goddess during a puja. Only you could help them by following to the netherworld, rescuing them, and killing Ahiravana and the demon army. Who in this world doesn't know, O Lord, that your name is Sankat Mochan, the destroyer of suffering? Great hero, you have performed many great deeds for the gods. Just think, what hardship is there that a poor wretch like me could have that you cannot remove? Come quickly, O Hanuman and remove all my troubles. Who in this world doesn't know, O Lord, that your name is Sankat Mochan, the destroyer of suffering? With a red body and a shining red countenance, your mighty form is like a lightning bolt, destroying the demons. Glory, glory, glory to you, Lord of the Monkeys! 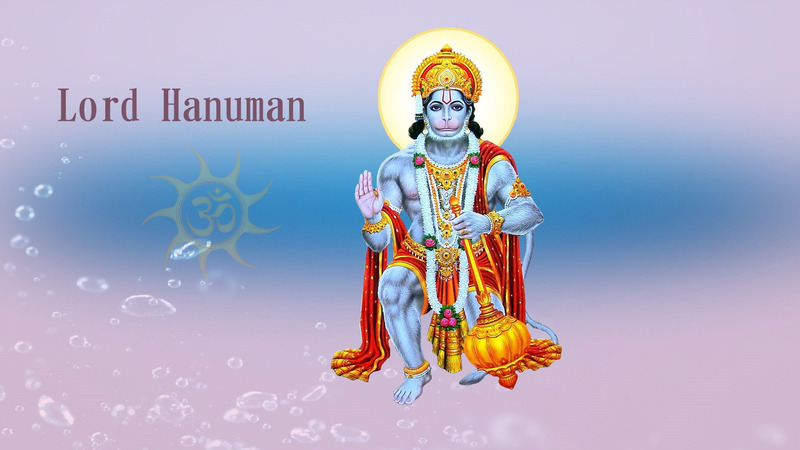 These eight verses in praise of Hanuman were written by Tulsidas. The saint Gangadas says whoever reads them with love will have their misery removed.